Get the answers you need - run your easy and secure online vote with us today. 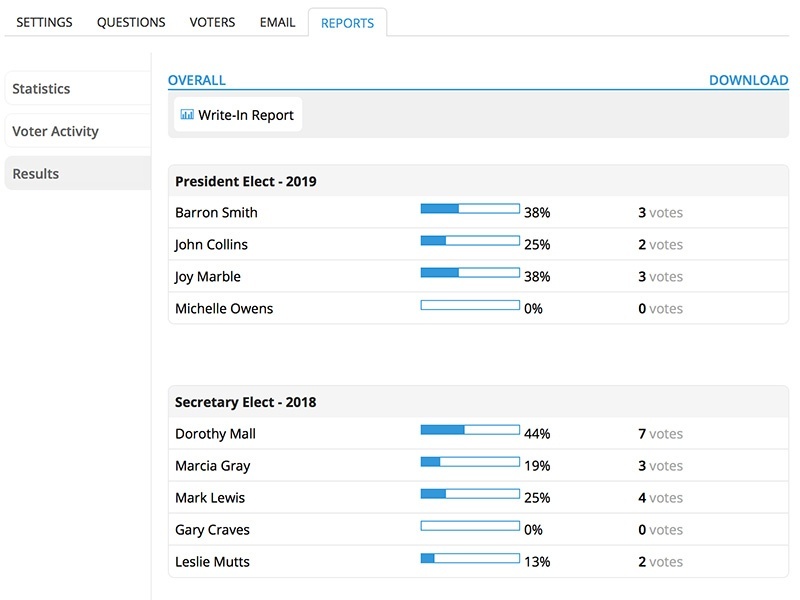 With eBallot, a better voting experience awaits. Take decision-making to new heights with our easy process. 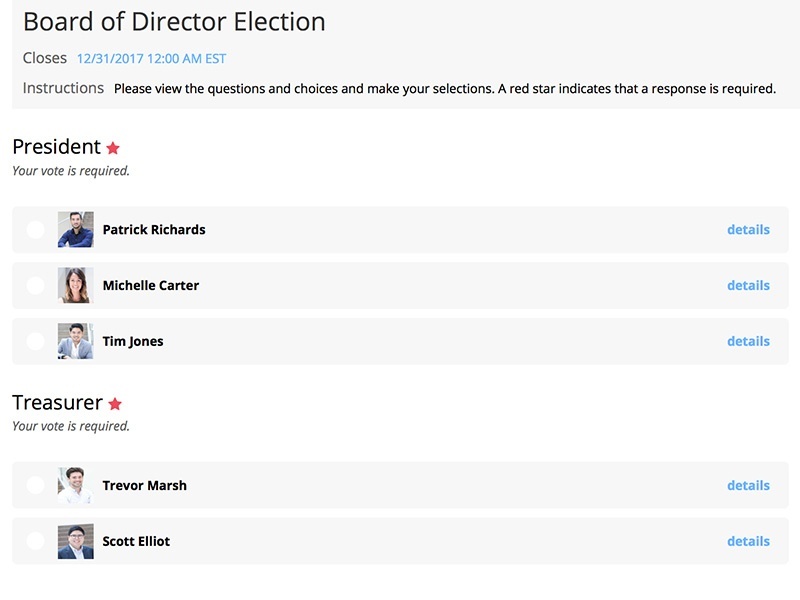 Customize your ballot using company branding and by choosing your questions type. Schedule your ballot’s opening and closing time and upload your voter list. Not quite ready to activate? Our voting tools let you save your ballot and come back to it later. Send reminder emails before and during the vote straight from the platform. 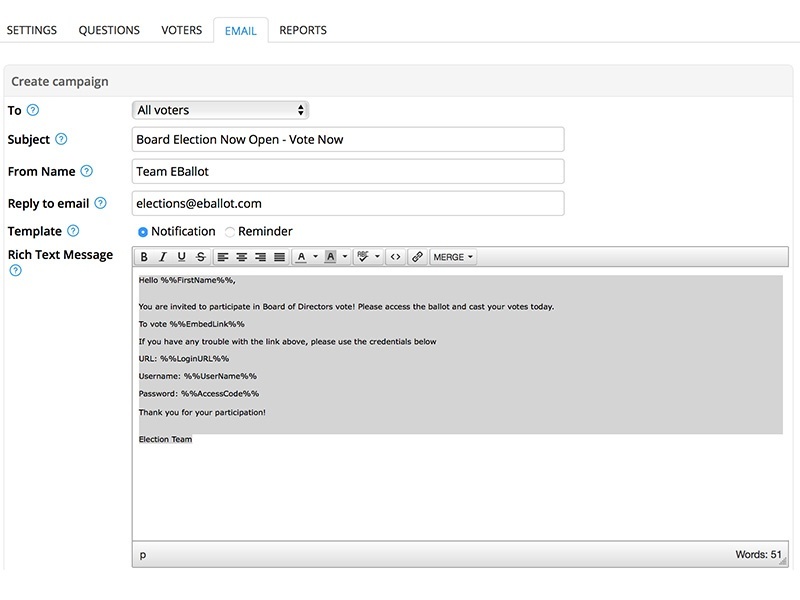 Use filtering to send notifications to specific voters, or ones that haven’t voted yet. The more awareness you build, the more meaningful results you’ll get. Need help spreading the word about your event? Our team is ready to maximize your voter turnout. Ready to have your voters voice their opinion? This is where each voter gets to weigh in. Each voter can cast their vote, but only once, increasing the accuracy of the results. Mobile voting comes in handy at this point. They can also participate in any other ballot they’re eligible for. Keep tabs on the turnout of your event by tracking voters in the Voter Activity Report. Need voting statistics? 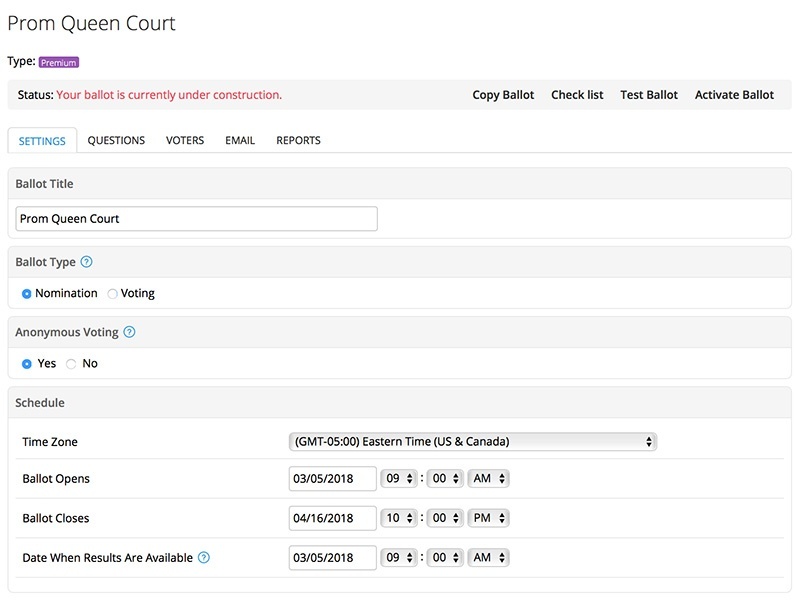 Results are available for monitoring in real-time throughout your event, although you can see the full report moments after your ballot closes. Get a breakdown of voters by day or time, or simply view overall turnout for a snapshot of your event. Ready to run your vote?